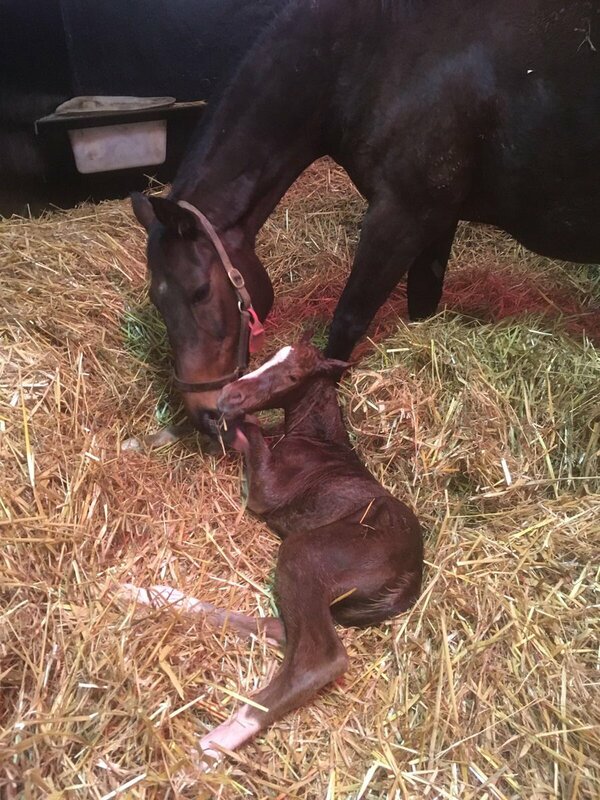 First foal by the champion Maurice(JPN) is a filly!! That second photo...sleeping innocence. Makes me want to wrap her up and protect her from all the bad things in the world. 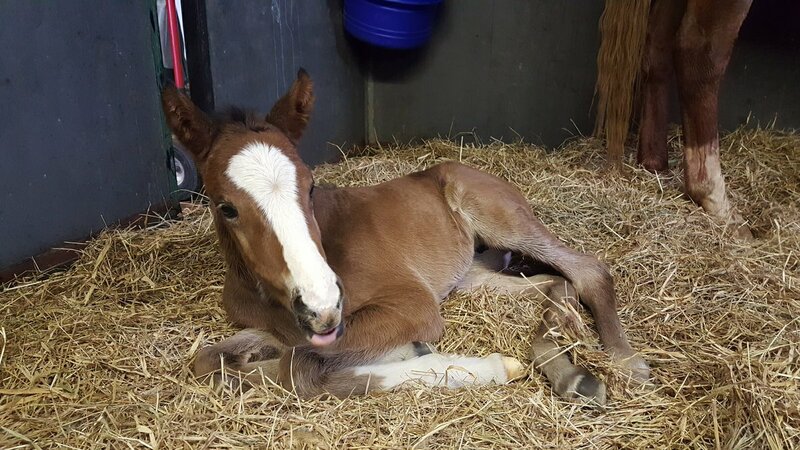 Looks like her bedding is recycled newspaper, does anyone know if it's industry standard in Japan to foal on it? Neat idea. 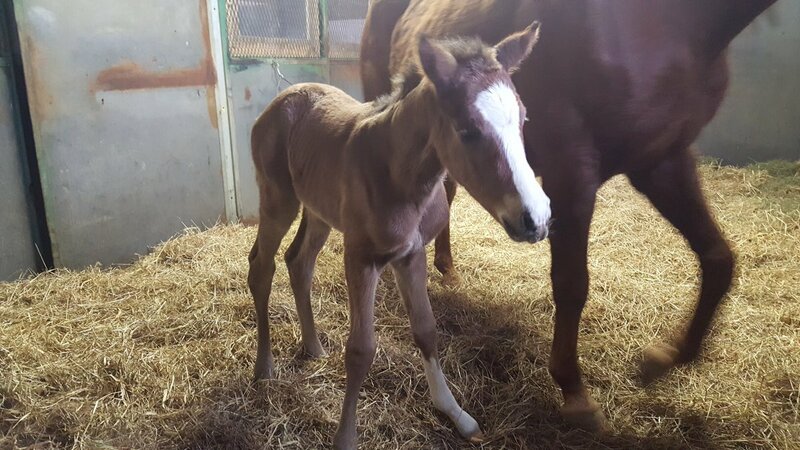 Northport wrote: Looks like her bedding is recycled newspaper, does anyone know if it's industry standard in Japan to foal on it? Neat idea. It is a neat, smart idea. Newsprint is absorbent and insulating. Possibly cost effective too. There was a horse at the barn I rode at that had an allergy to shavings, and one of the Winstar stallions gets a cardboard like bedding because of an allergy- I want to say POTN? 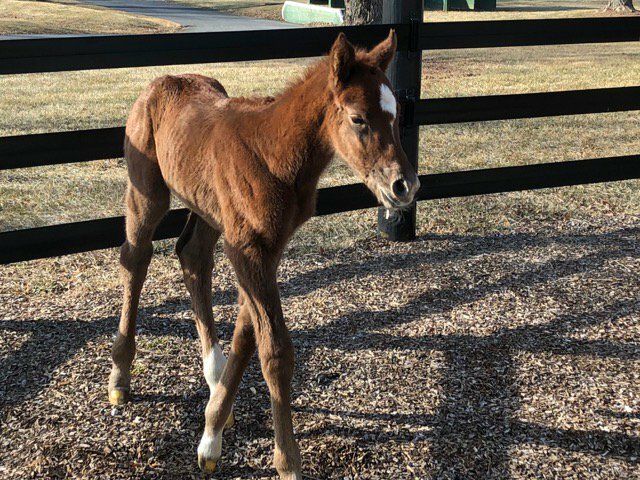 Blondz Away delivered a beautiful @WinStarFarm Tourist filly this morning. 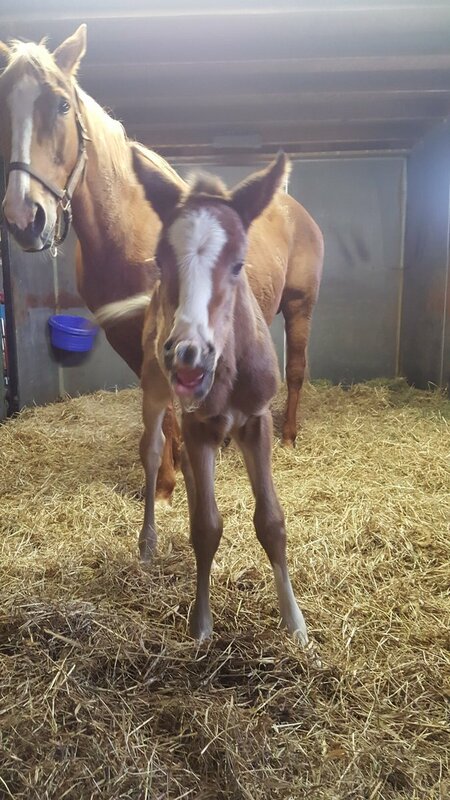 The filly checked out well with the vet & has a good, healthy appetite. Stay tuned for more photos. Here’s some more of our new addition. 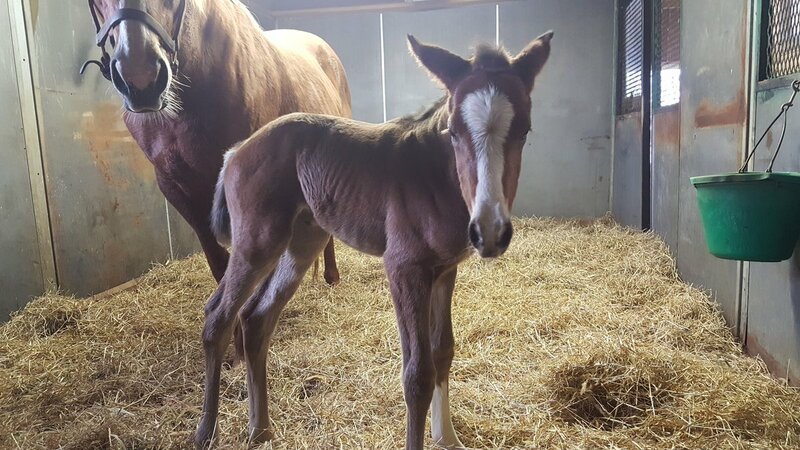 As far as we know she is the first Tourist foal born. 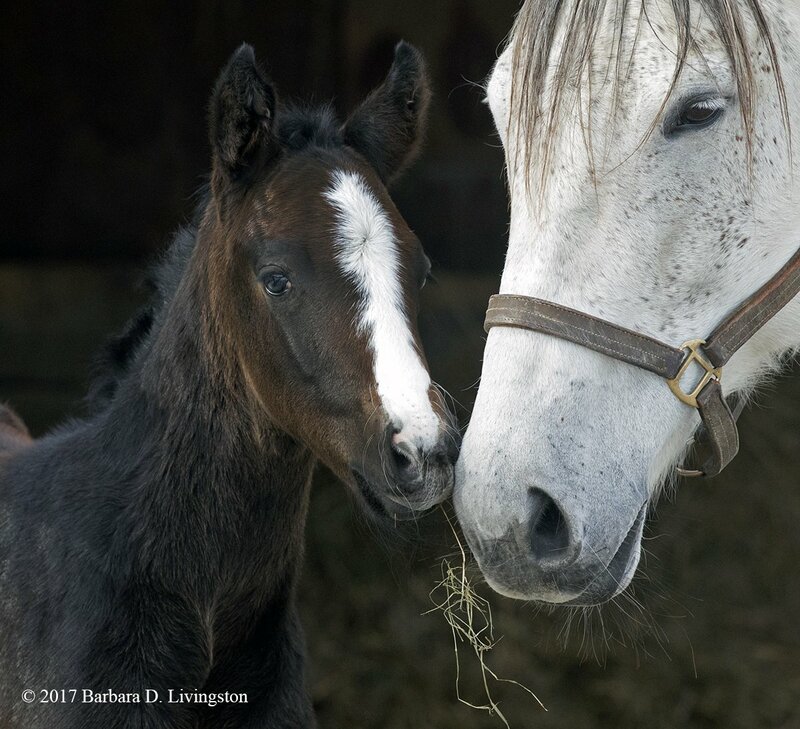 Had to post this too...God bless the broodmares. Blondz Away (i/f to Tourist) & Go Go Lolo (i/f to Dialed In) are ready to shed that extra weight! 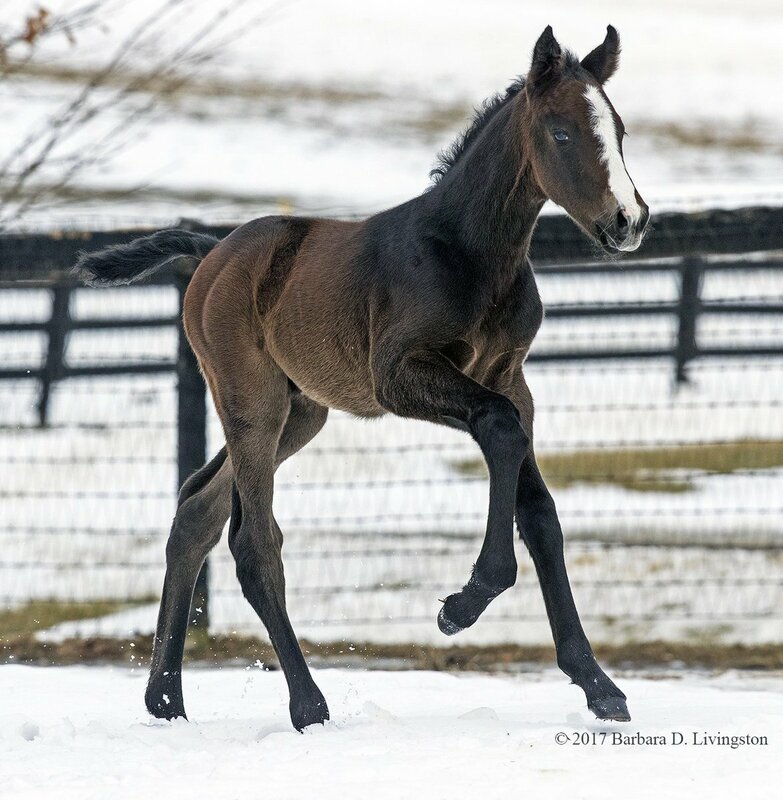 I really like that Maurice filly. Outstanding pedigree on the mare, too. No idea if it's industry standard in Japan but I know that Sha Tin in Hong Kong (used to?) use only recycled newspaper for bedding rather than straw or shavings as a clever adaptation to their geography and limited/expensive resources. 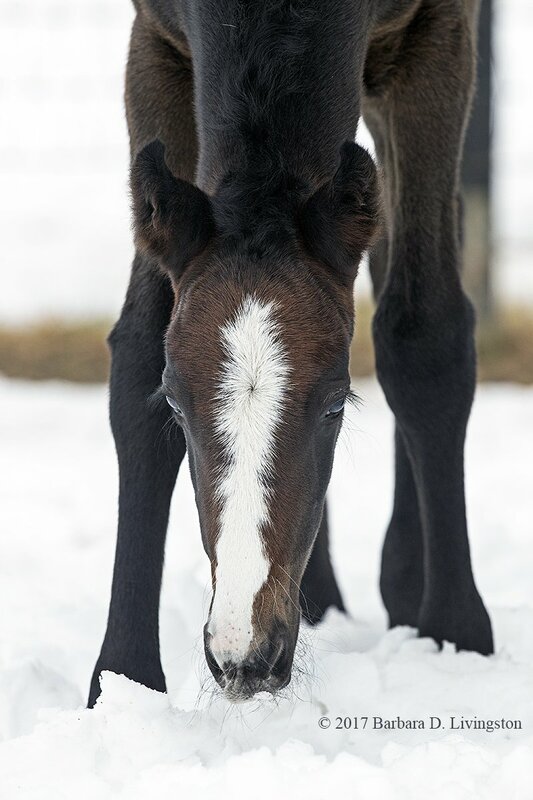 Sparrow Castle wrote: Had to post this too...God bless the broodmares. 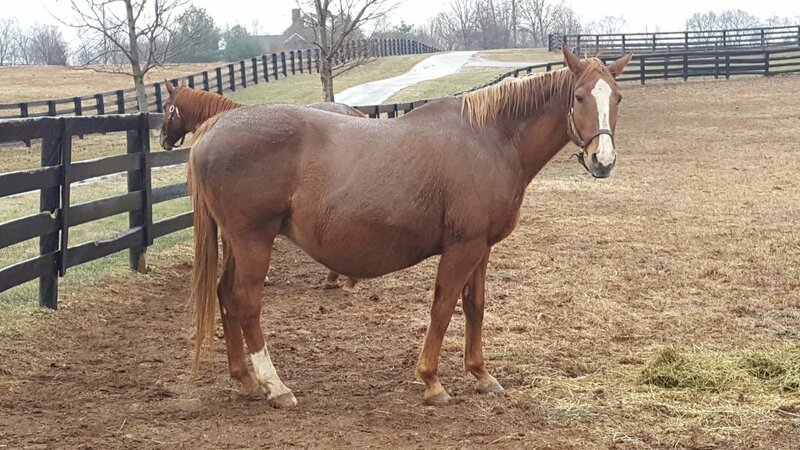 It's easy to tell which one has been a broodmare for 12 years and which one is a maiden lol. I love it when the foals have that "What the heck just happened?!?" look. 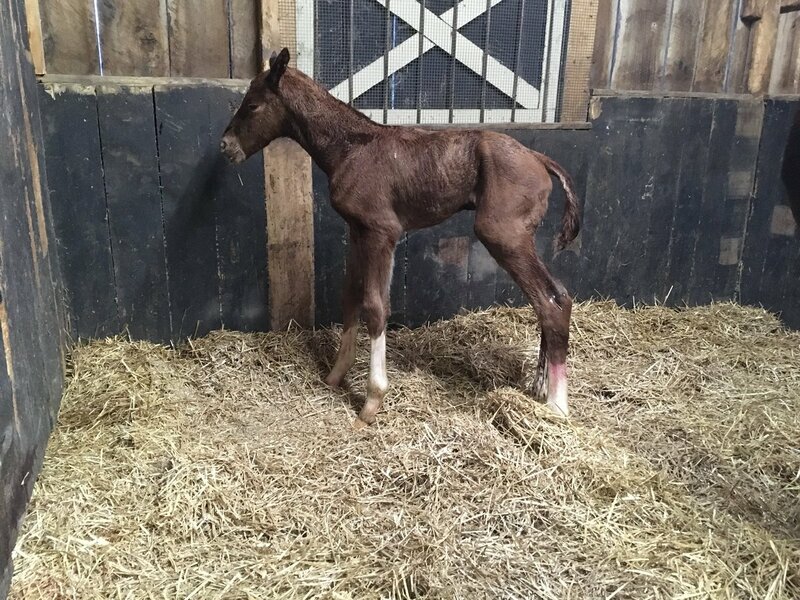 First of many Exaggerators for SF Bloodstock 2018. We got on the E-Train early in play & enjoyed every G1 race hail, rain & shine. 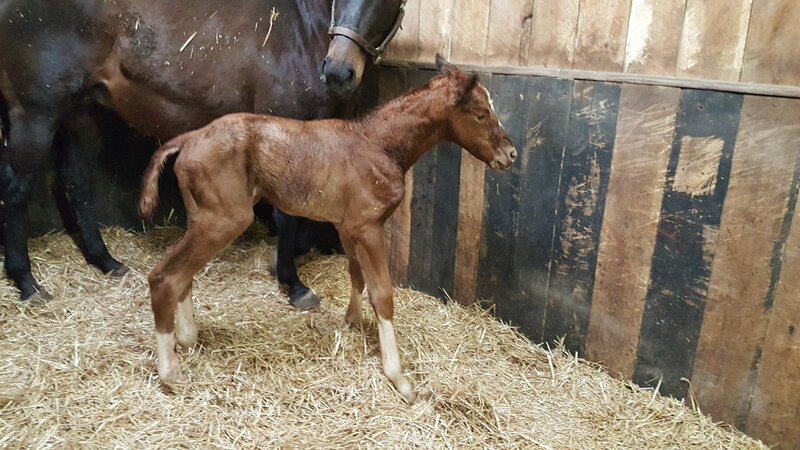 Rarely can a good horse win one G1 but #E won 3 of them at 3... A very Hardy looking colt o/o G3 winner Nikki’s SmartyPants. 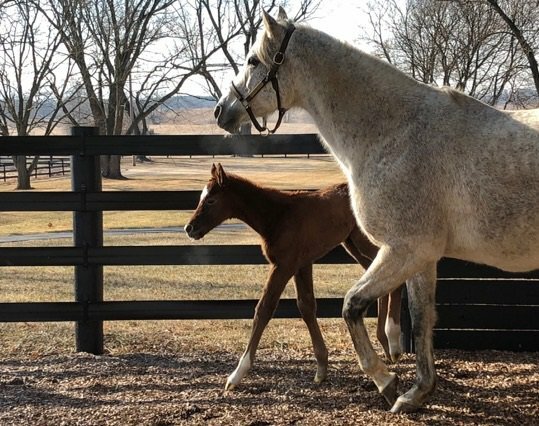 Her last foal made 390k. 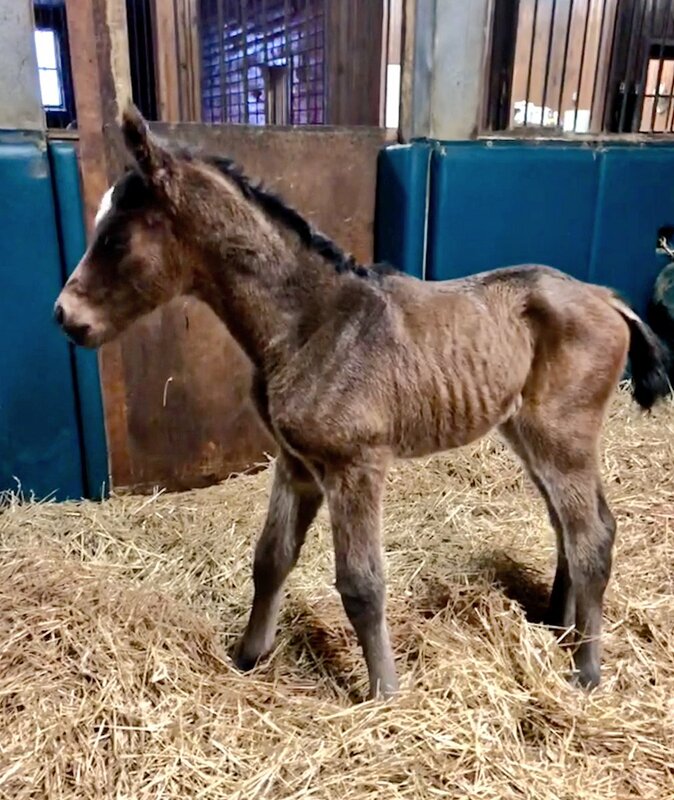 That Exaggerator foal is a sturdy looking baby underneath all that fuzz. Looks like excellent conformation in the making. 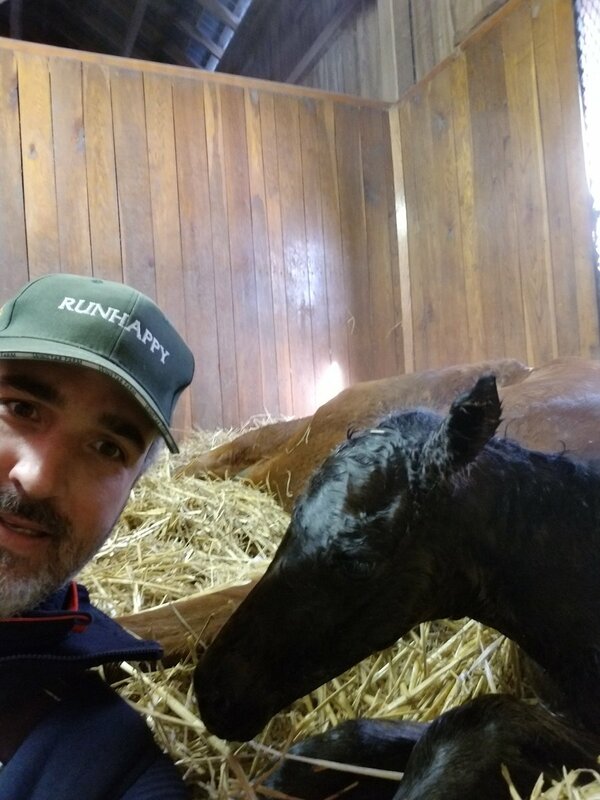 Foaling season starts with a healthy RUNHAPPY filly on a beautiful and cold day! 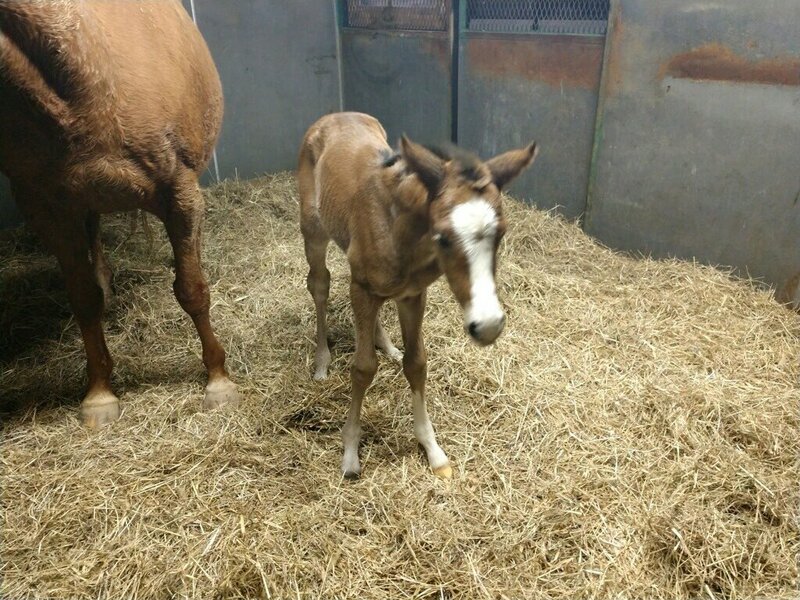 Fitting: First foal I've seen reported for champion Runhappy arrives at Ashview, where her sire was born. Babies...whiskery, fuzzy, beautiful babies. In my mind I'm hugging every one of them. 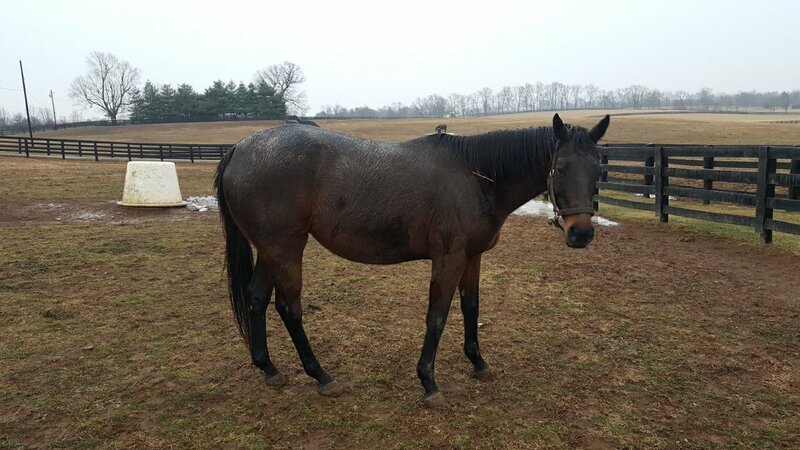 The War Dancer colt is really a looker. much like seeing news on the 2012 The Tin Man, seeing Go Between as a mare's name is a little disorienting.